This class is for dogs that have completed one of our 5 week courses and continued their training in CONTINUATION CLASS achieving a good obedience standard. The class is a weekly pay as you go and you may attend as often as you wish but the more you attend the more progress will be made. The class is held at Rhydymwyn Memorial Institute as we have a safe outdoor paddock to use and indoors is weather is not good. The paddock enables us to offer some free running for socialisation and recall practice. We teach heelwork, recall, retrieve, stays, and much more! we also give advice on what is needed to become a competition dog if you wish. 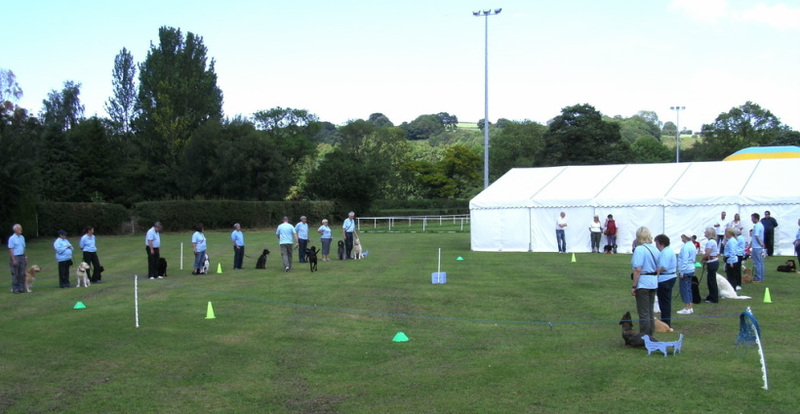 ​At all times the focus of all our classes is to have a well controlled dog you can be proud of. This class is a social occasion for handlers and dogs, in our tea break between classes you will mix with the advanced class and share in any celebrations such as birthdays etc. Twice a year we hold a progress test competition with rosettes and prizes for you to win, we also hold various charity events and you will be encouraged to join our display team. Once a certain standard has been achieved and you have attended class regularly you will be invited up to the next stage of training which is the advanced class.